What It Is: Looking for a new way to liven up the party? 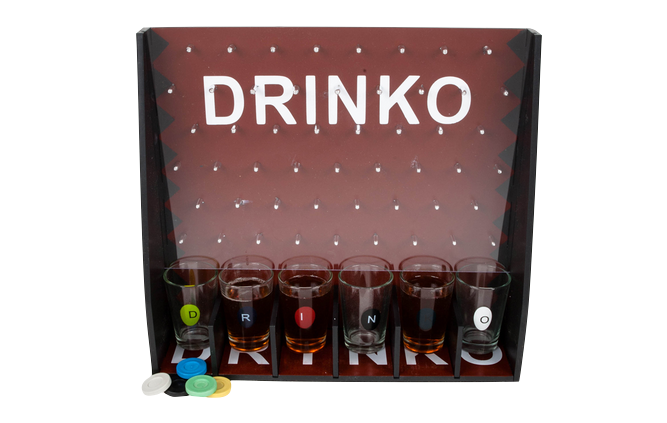 Assign each of your friends one of the letters in ‘DRINKO’ and take turns dropping chips down the board. If it lands in your glass, take a shot, refill, and carry on. Alternatively you could also play it as whatever chip your drink lands in, you have to knock back – but that’s less suspenseful ain’t it? Either way, this is a super fun way to bring the ‘Price Is Right’ to your next shindig. Who It’s For: Your little brother, as a gift for his ‘legal’ birthday. Your roommate, as a fun way to welcome them to your pad. Your best friend, as a cool host or houseguest pick. Nab an extra entry into my Snappets giveaway – tell me in the comments below, can you see anyone on your shopping list loving this fun party game? My oldest grandson would find this fun. I would love this! I’m watching Price is Right in the background right now hahah. No, as our family doesn’t drink very much! I’d love this game to play with our friends. This wouldn’t suit me or my family, but I know of some folks who would have fun with it! I can’t think of anyone who would use this. I have a young nephew who would love this!